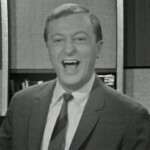 In Melbourne Tonight or IMT was hosted by Graham Kennedy and is still regarded as the golden era of Australian television history. Broadcast nightly, live on GTV9 (Channel 9) from it’s studios in Richmond Victoria, In Melbourne Tonight ran from 6 May 1957 to 1970. Each show commenced with an announcement of the guest performers over the show’s theme song Gee, But You’re Swell, followed by “and, here’s Graham” catchcry. Television in Australia had began a year earlier, in time for the Melbourne Olympics. 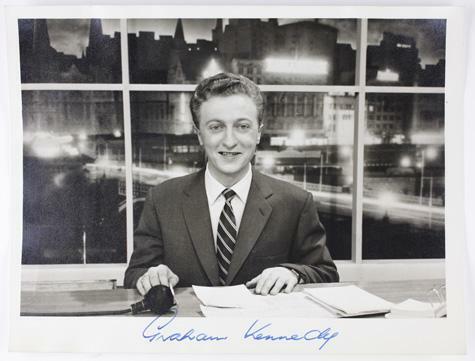 In Melbourne Tonight was seen as ground-breaking television and became compulsory viewing, so popular that the host of the show, Graham Kennedy became a classic icon, a household word. 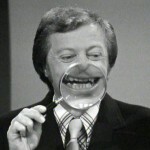 Almost over-night, Graham Kennedy became the king of comedy, the recognised successor to Australia’s previous comic king and lord of misrule, Roy Rene. With In Melbourne Tonight Kennedy brought to and adapted for television, Australia’s rich history of very risqué music hall, vaudeville, and variety. In Melbourne Tonight included musical acts, game segments, burlesques of adverts, and sketches, including “The Wilsons.” In this segment, perhaps reminiscent of The Honeymooners skit on early 1950s American television, Graham played a dirty old man, married to his Joyce, carnivalising marriage as comic disaster. 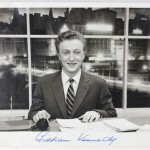 Geoff Corke was Kennedy’s offsider until 1959 when Bert Newton joined GTV-9 from HSV-7 to become Kennedy’s straight-man. This began a professional partnership that continued for many years and a friendship that continued until Kennedy’s death in 2005. Other IMT identities included Joff Ellen, Val Ruff, Panda Lisner, Mary Hardy, Rosie Sturgess, Patti McGrath (later Patti Newton), Toni Lamond, Philip Brady, Johnny Ladd, Noel Ferrier, Elaine McKenna, Bill McCormick, Ted Hamilton, The Tune Twisters and the Channel 9 Ballet. This web site is a tribute to the live television show.. In Melbourne Tonight regarded as many as Australia’s greatest ever television show.